To give you the latest details about the industry, we have recently updated this article with information on the new digital marketing trends for 2019. The year is yet to say its goodbyes. But as it is every year, you, and I, and digital marketers everywhere have already begun planning digital marketing strategies for the next year. As the industry predicted, the digital marketing landscape in 2018 built itself around site audience comparison, big data, SEO audits, high-quality data management, and smart machines. An eventful year, indeed! Now, as 2019 approaches, we all have tried to get a hold of the changes which lie ahead. As a result of this effort, I present the trends which may impact the digital marketing landscape in the upcoming year. Well, think on a grander scale. Assistant, Siri, customer service chatbots- you encounter AI on a regular basis. But it’s the business, the backend, that has much yet to explore. 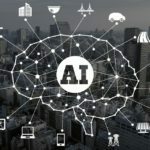 We’ll see more companies primarily use AI for trend analysis and consumer profiling. You’ll connect better with customers, targeting will be precise, and you’ll be able to shoot emails faster, offer an abundance of accurate and relevant options to the customer. What may change is the nature and length of these videos. Despite this fluctuating nature of viewer inclination based on video length, style, and structure, the 92% of mobile video viewers who share them with others makes for a convincing argument in favor of video marketing. In the past year, the IOT network has experienced a significant expansion in terms of usage for business systems. And this network, as it grows, will bring in lots of data and churn it to reveal information. Why I haven’t put down IOT and Analytics as two separate entities in this list is because it’s their collaboration that’s promising and which we’ll be seeing more of it in 2019. As IOT works to generate information, the functionality of complex units, like manufacturing, healthcare, etc., will gain efficiency. In fact, from managing retail expenses to planning cities- IOT and analytics, when working together, can create business insights at levels we’ve never reached before. For more info on this topic, read our related article on the future of IoT and big data. Mobile optimization was the priority for digital marketers this year. Now, in 2019, it’s expected that Google will let loose the mobile-first algorithm. Google will primarily index the mobile version of your website and rank the results. Whether a viewer visits your website on a desktop or a handheld device, the structure and SEO quality of your mobile-layout would matter above all. Now, add to that the $107 billion estimated expense in 2018 on mobile ads and the massive amount of digital media time which users spend on mobile, and you have your reasons to include mobile marketing in your strategy. This isn’t a good time to bet whether VR is better than AR or the other way around. 2017 showed us how it looked like AR was going to grow at a faster pace than VR. By 2018, big brands like IKEA started launching AR apps as part of promotions while consumer VR has raked in $9 billion in revenues. In 2019, you can expect that both will grow in terms of adoption. Apple’s moving to develop AR. With its ARKit, virtual viewing could dramatically shift from VR to AR, despite the fact that right marketing and the upcoming FIFA World Cup can help VR adapt and outpass AR. Although, the fact that most marketing attempts grow on the soil of original, engaging, educational, and value-imparting content won’t change in 2019. But, what you and I will agree over, I believe, is that personalized, targeted, and high-value content will remain key to content success in 2019. In fact, 94% of senior-level executives consider content-personalization critical for customer targeting, says a PWC’s Digital Services Group report. On a related note, read our article on how to improve your content marketing efforts. SEO and content, as per 97% of digital marketers surveyed by BrightEdge, are more integrated now. In fact, 52% marketers also agree that a fluent SEO strategy helps long-term market content. In 2019, dark social offers you an excellent marketing opportunity. It reaches a demographic that often isn’t available or not entirely reachable via other social mediums. If you could get through to this audience, your social media ROI would benefit greatly. Blockchain tech secures economic transactions cryptographically. It’s aimed at improving efficiency. And as it advances and marketers try it out, it could play a significant role in digital advertising next year. Think- publishers could create a list of safe, reliable advertising environments using blockchain. Influencers agreements could be fulfilled via automatic remuneration released as soon as said influencer reaches the agreed number of shares/likes. But, if you plan to use blockchain tech, be sure you understand how it’d be useful in your specific case. Predicting digital marketing trends on the dot is pretty unlikely. Getting an idea of what’s ahead, not so much. So, stick around! You may spot a plan for the blueprint of your next digital marketing strategy.